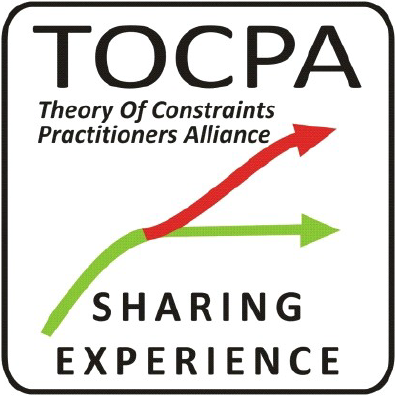 This three-day, accelerated learning experience introduces executives to the powerful methodology of Theory of Constraints (TOC), developed by the late Dr. Eliyahu Goldratt. TOC was popularized by The Goal, which he wrote in the 1980â€™s and remains a best-selling business book throughout the world. Today TOC is being incorporated in an ever-widening number of industries, with practical solutions that dramatically improve the flow of goods and services all the way from development through delivery. From a giant manufacturer of healthcare products in Japan, to a major heavy equipment producer in India, to a leading fashion retailer in Brazil, companies willing to challenge the status quo are increasingly looking to the TOC approach to achieve results previously thought to be unachievable. This entry was posted in Events, TOC Weekly 95 and tagged Brazil, equipment producer, Ever Flourishing Company, healthcare, India, introductory, japan, retail. Bookmark the permalink.